» How To Remember The Difference Between Upstream And Downstream Outdoorsineering! A vexing problem that has confounded many would-be outdoorsineers is this: how does one remember the difference between the terms “upstream” and “downstream”? Unlike the difference between left and right, which has an easy mnemonic device1, there is no easy way to remember which part of a river is upstream. This confusion has gotten many trouble, and can indeed be quite dangerous. Take the sad tale of the great adventurer Willard P. Scott. Leaving camp one morning in search of berries and lichen to eat, he instructed his team to meet him upstream in one hour. It being early, nobody gave much thought to what he had said, and it was not until Mr. Scott was already away from the camp that someone realized they had no idea if they were supposed to go in the direction that the river was flowing, or in the opposite direction that the river was flowing. Soon the camp was split between the two possible descriptions of “upstream”. A great argument ensued with valid statements made by both sides. Did “upstream” refer to the flow of time, so that as we move “up” (that is to say, forward in time) we would move to a point that occurs later on the river? Or did “upstream” refer to a more literal “up”, being a point in the river at a higher elevation? No breakthrough could be made and after a few hours the group decided to abandon the expedition and leave Mr. Scott to his fate. Willard waited for the rest of his group, but they never showed up and he was eventually eaten by a crocodile. As this example goes to show, danger is lurking around every corner in the wilderness and even the simplest mistakes can lead to a painful and frightening death. This is not to suggest that the outdoorsineer should live in fear of the wilderness. It is to suggest, however, that the outdoorsineer treat the wilderness with a good deal of respect. To the question, then, of which way on a river is “upstream” and which way is “downstream”. The easiest way to commit the difference to memory is to think about it in psychological terms. As you walk along a river in the direction that a river is flowing, you are likely to eventually reach a city. The urban blight and low socioeconomic status of the people in that city will depress you, and thus your mood will go down, and thus you can be said to be going “downstream”. As a corollary to this, as you walk along a river in the direction opposite its current, you will eventually reach the source of the river, which will likely be a waterfall or a melting glacier. You will marvel at this piece of natural beauty and your mood will be lifted, which is to say it will “go up”, and thus we can say that you will be going “upstream”2. This is a complicated way to remember a seemingly simple concept but at the moment, it is the only surefire way to do it. Test your mettle as an outdoorsineer! 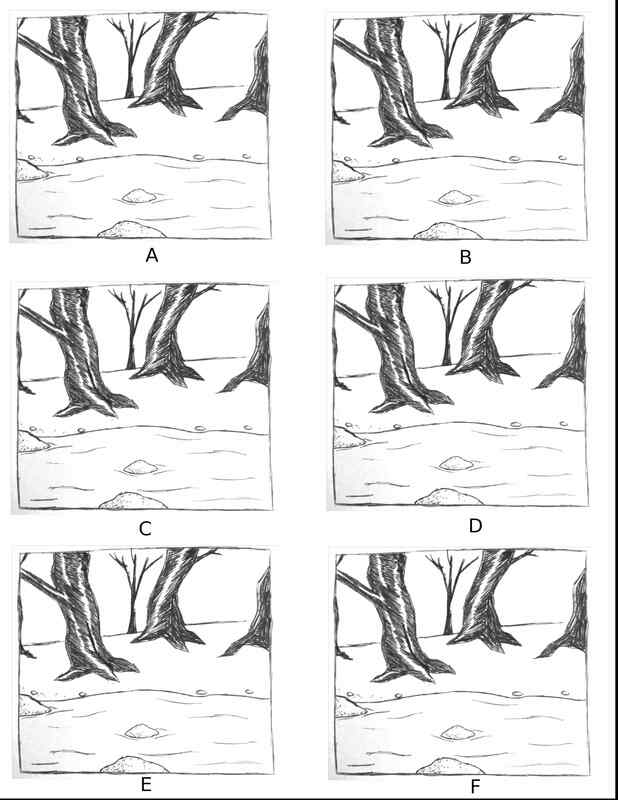 See if you can determine the direction of the rivers depicted in the following illustrations (answers below).